And you wonder why I’m madly in love with this band. Check out the full blog post @ easonjordan.com where you will find additional pictures and links to other stories covering this event as well as the guitarist’s Facebook post about his experience. Here the video of the performance. 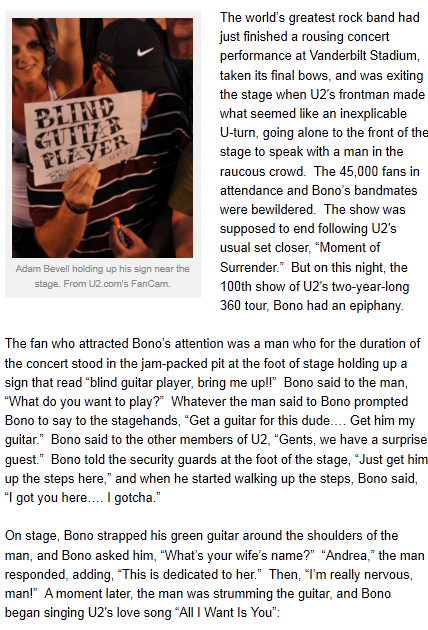 And here’s a high quality version on U2.com.